An all-inclusive wall frame presentation that features a metal frame in a bright blue finish and a classic profile that is cross-brushed to perfection, protective glass and backing with built-in hardware, and a white mat, making it a gallery favorite photo frame! 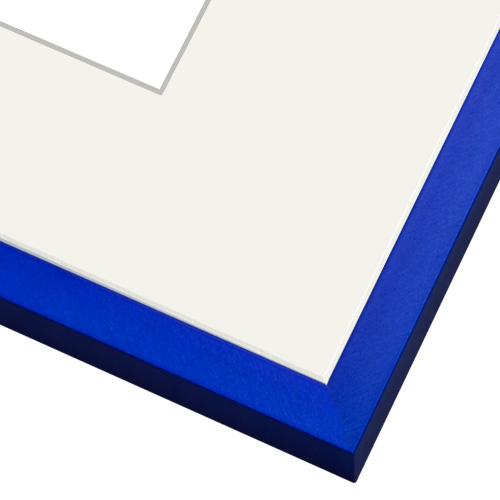 The vibrant blue will enhance the blue in the photo it will be framing. Wat does "protective glass and backing" in the details mean? Does the glass block UV rays and the backing is acid-free? BEST ANSWER: This is not acid free backing or UV blocking to my knowledge, it is just describing that it protects the front and back of your art in this case. BEST ANSWER: Hello. 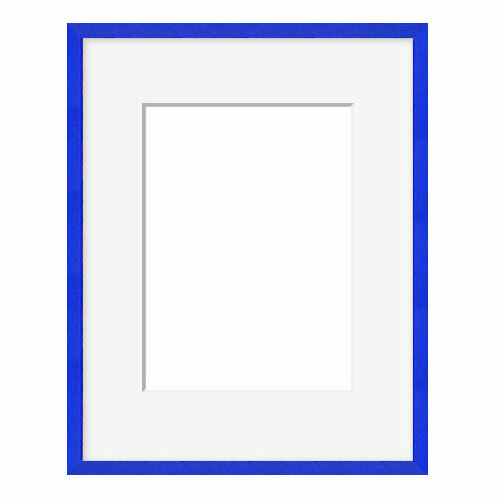 At this time this vibrant blue frame is available in sizes 8x10, 12x12 and 16x20. Thanks! Do u have 19 1/4 ×26 5/8 frames in blue? BEST ANSWER: Hello Charlene! This beautiful frame does not come in a Custom size. We have another collection that offers a vibrant blue frame that will work in your size. Please see below. What are the dimensions of the matte- if I get an 11x14 frame, what is the inner size for the picture? BEST ANSWER: Hello. The opening in the Mat is 8"x10" for the 11"x14" frame. Thanks for your inquiry!